Now spy the account you want from MESSENGER! We also recommend hacking Messenger. To all of us in some opportunity of our lives we have wanted or needed to spy some account of a social network. Whether it's a friendship, a family member or just any stranger. 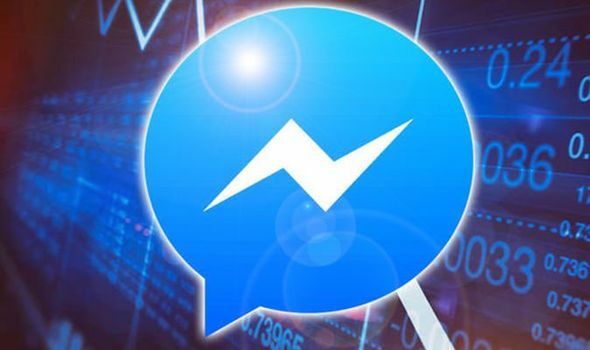 When we say this, we can also say Messenger is one of the most used social networks in the world for the exchange of messaging, in addition to photos, videos, captures and other multimedia files. Verify who your partner is writing with. Know who your minor children are related to. To be able to recover a lost account. Out of curiosity to be able to see any other person's account. Currently Messenger is one of the newest and most important social networks and for these reason millions of people use it to carry out their interactions at a social level, as well as to get to know people and also to find a partner. This fact of being one of the main social networks also plays an important role in the large number of people who need to know what their loved ones do when chatting or chatting on Messenger. Now we have a better idea of how it works and the protagonist of this social network we can fully enter the best way you have to be able to spy Messenger and we assure you through our method you can become a true expert. Reasons to spy on a Messenger account? You lost your password to your account and you desperately need to recover it: One of the most common cases and why people use our excellent service is because they have changed and they lost their password to access their favorite social network (Messenger), so if you lost, forgot or lost for any reason your password. This is your best option to recover it and with it to recover the great amount of multimedia files of sure you have saved in your sent messages. To spy on your partner: Surely you have always wondered (but to whom does my partner send so many messages, who does he spend so much time chatting, why is he hiding cell phone from me?) if you answered if any of the questions above, you are a special candidate to use our services. Because you definitely have plenty of clues to spy on their activities and really get to know what's going on. ou are doubting your children's activities: Children are our greatest asset and no one wants to see their children going through problems of bad friendships and even less to know they could be in bad behavior and steps. So, if you want to know for sure what our kids are going through, what they do in their spare time, with whom they have conversations and what kind of conversations they are, It is the best way to be one step ahead of their actions. Simply to spy on any friend:: If you want to be the spy that you have always carried within you, this is the right time to do so, with this spying system Messenger you can spy any account in a safe, fast and free. So that list of people and things to spy and you can make it a reality. Type the user name of the account (URL) to spy (victim) then click on the option “spy”. Here the spy site will start tracking the victim's account, then the system will ask you to complete a survey with some personal questions. (this to verify that you are not a robot that is requesting the hack), here you must choose one of the servers among the large number of available. Then the key will start downloading. (here you could choose whether to send it to your cell phone or to your email). It is of utmost importance that when you have the access key in your possession, you log in from the spy website, this in order that the security services of the page can be activated and thus prevent the victim may suspect his account is being spied. What other methods are there to spy on Messenger? At the moment of spying Messenger, we have to be explicit with you, our dear users and we must assure you that there are other valid alternatives to be able to spy on this social network. Among the most common and effective we can name some of those stand out through Phishing, through Hacking, through Xploit, through Keylogger. But obviously no method is as effective and simple as the one we offer you for free. We have tested to the extreme this method that we offer. so, we have more than enough guarantees to ensure you that we are a secure method in worldwide, so we recommend before spying a Messenger account have at hand the following requirements and follow the next steps. To place in our web the user or the URL of the account to spy. The system will verify the account or user and show you the profile picture of the account to spy, so you can know if the data are correct and if it is the account in question. Through a survey: By filling out a simple survey, at the time of completion you will be able to get access to the password. By means of referrals: By sending the link provided by the page to 5 of our friends, when you complete the sending you will be able to obtain access to the password. How to spy Messenger online? Here we explain how to carry out the process of spying on any Messenger account through our website and a completely free and online. We go to the website, then select the option spy Messenger. We will write the username of the account we want to spy (we want to emphasize here, because if we miss the account name the system will never be able to track the victim, so we must be very careful in this important step. We will wait a few seconds and the web will do two process: it will get the account to spy and it will extract the key from it. Next we will choose one of the available servers (server # 1, server # 2, server # 3, server # 4). We will finish the process of espionage filling a simple personal survey and at the moment of sending the answers the key of the account to spy will begin automatically to be downloaded and sent to our email. Congratulations! You can now access the victim's account, always from our website. We write the URL of the Messenger profile to spy on. We wait a few moments for the system to track the account. You choose one of the several available servers and fill out the survey. Warning about spying on a Messenger account.